There’s a lot at stake when delivering a sales presentation. After cold calls and endless follow-ups, you now have the opportunity to meet with prospects and have a worthwhile discussion with them. You get to showcase the service or product you’re offering and all the benefits attached to it. In order to succeed, you can’t just throw a PowerPoint deck together and deliver a haphazard presentation. Instead, you need to be mindful of the correct techniques, making use of your creativity to leave a lasting impression. It’s easy to lose interest in a presentation that seems to go on forever. Even with an extremely engaging topic, most audiences have a hard time focusing their attention for more than a couple of minutes. The first step to improving your sales presentation is by cutting down the content. Focus only on the points that are crucial to the message you’re delivering. There’s nothing more compelling than a good story. Instead of presenting your pitch in a traditional, matter-of-fact way, you can spin it into a narrative. Following the dramatic arc of ancient Greek plays, or use the AIDA method as a guide. With a specific and structured narrative, you can easily determine which points are crucial to your message, and which ones feel excessive or unnecessary. This technique can also lead to a stronger connection between you and your audience. All the best stories are able to build tension for conflict and suspense. The same thing should be true for your sales presentation. Briefly show your prospects just how crucial your product or service is. Let them know that you’re aware of the problems they encounter. Describe a scenario that enumerates the challenges they face. Aside from making your pitch more compelling, this will let your prospects see how much you understand their current situation. Of course, you’ll need to do more than talk about the problems. Too much suspense can also kill engagement, so balance your story out by bringing attention to positive details as well. Delve into the features of your product or service, and focus on the opportunities it can give your prospects. Show them how your solution is the best way to overcome their challenges. Another thing you can’t miss is to showcase the value of your brand and company. Build audience trust by enumerating your key accomplishments and relevant industry experience. Let your prospects understand the culture and logic behind your product or service, but don’t spend too much time blowing your own horn. Majority of your sales presentation should be spent on connecting with your prospect and showcasing the benefits of your offer. Your brand encapsulates your entire company identity. 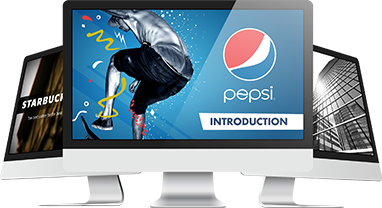 By creating a PowerPoint deck that mirrors your brand, you can help your presentation become more unique and distinguishable. The easiest way to go about this is by using a color palette that’s similar to your logo. You can also incorporate the overall theme of your product into your design. These examples can serve as inspiration. You can never tell how the audience will react to your presentation. Your prospect might ask you questions that are difficult to answer. They could also bring up points you weren’t made aware of in your previous conversations. For situations like this, it’s always better to be prepared. Get ready to improvise. It will also help if you list down and answer all the possible questions that your audience might ask. Consult your colleagues and other members of your team to expand your list. The Call-to-Action (CTA) is perhaps the most crucial part of your sales presentation. It summarizes the purpose of your pitch in a bold statement that urges your prospects to take positive action. In other words, the CTA puts the ball on their side of the court. To be effective, a CTA needs to be direct, precise, and straight to the point. Your work doesn’t stop even after your sales presentation ends with positive feedback. You can’t assume that your prospects will immediately act on your presentation. The people in your audience, especially the key decision makers, often have busy schedules. To make sure the impact of your sales presentation doesn’t dwindle, send an email to your prospects and reiterate your points.